Beauty your controller so easy! 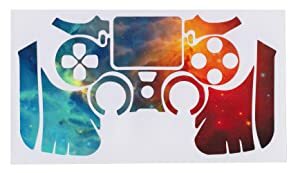 Take out for ps4 controller skin sticker out from the packing and confirm the skin sticker without defect. Clear your device with a soft cloth and ensure there is no dust on the surface of the console. Peel off the skin from the paper sheet and stick it on your controller carefully each part. 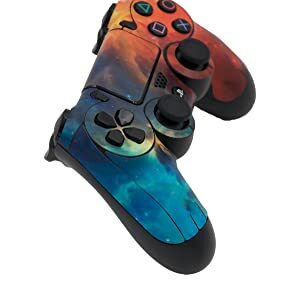 We choose the nice and beautiful photos to make sure give your controller great new look. 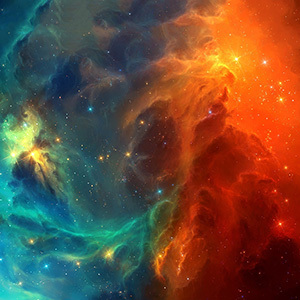 We named this photo as "Cosmic Nebular", very beautifully space screen. 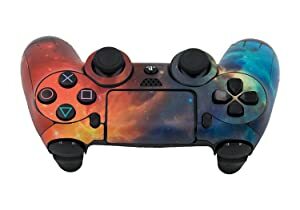 so use this skin you will have a "SPACE STATION CONTROLLER" immediately. 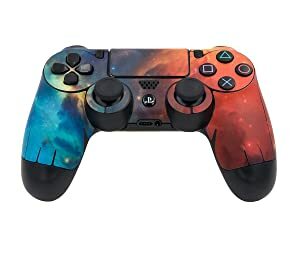 One skin does not only beauty your controller also protect the controller from dust and scratches. Easy to apply and remove, don't worry, it will be removed without any residues. Perfect cut makes fit your controller perfect and line up very good. Totally include 12 alone pieces, so it very easy to apply one by one. If you would like, can only apply some parts instead of all parts. We have cut some gaps at the end of the controller, so this will more effect adhesion on the roundness parts, will not peel off anymore. Even if you have faced the touchpad it will not affect its function. you can play as its before. We have own production equipment, all the workflow is automated, so we have a low defective rate.